Take all your cookbooks in your pocket! 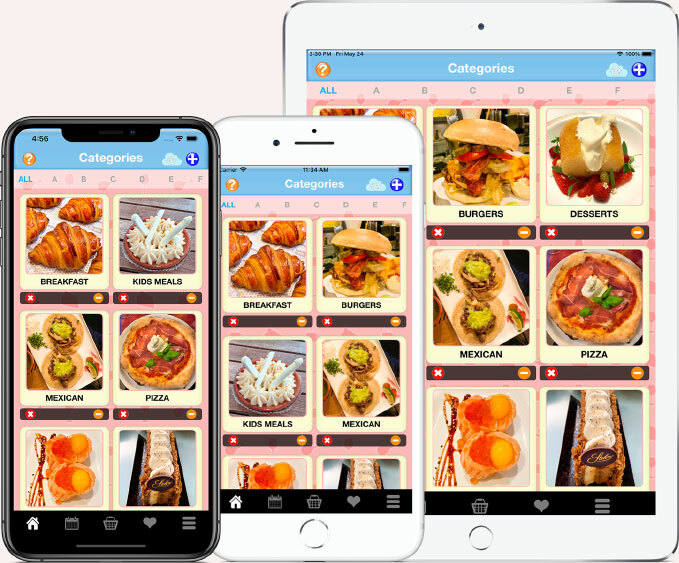 Organize all your cookbook and magazine recipes by just taking photos. Find the perfect cookbook recipe fast and easy! Just take photos of your recipe and done! Add recipes to the Shopping List with just a tap. Convert volume, temperature, weight, and length units in-app. Sync all recipes to your iCloud account to keep them safe. Instantly access your recipes everywhere you go. Plan your every day meals in only seconds. 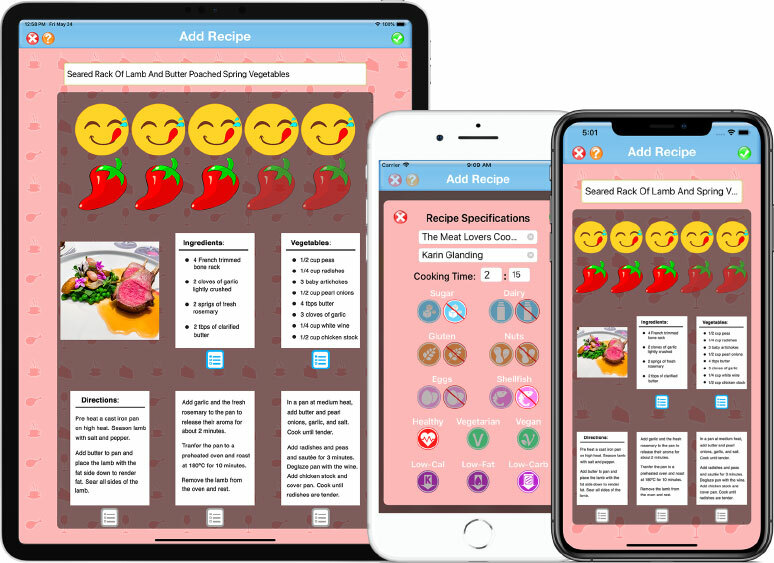 Create recipe categories that fit your own lifestyle. Create special menus to celebrate family and friends. Safely share your recipes on your iOS mobile devices. Collect all your most favorite recipes for easy access. Make your recipe selfies look even more delicious with beautiful photo filters. Add hundreds of recipes fast! Instantly rate them, add nutritional info badges, and more! Categorize by your own lifestyle! Create the recipe categories that best fit your food preferences. Easily plan your every day meals for weeks and months in advance. Never miss a cooking ingredient again! Send your delicious recipes to your Shopping Lists with just a tap! Celebrate your family and friends creating special menus with up to 12 meal courses. Easily convert temperature, volume, weight, and lenght units while you are cooking. 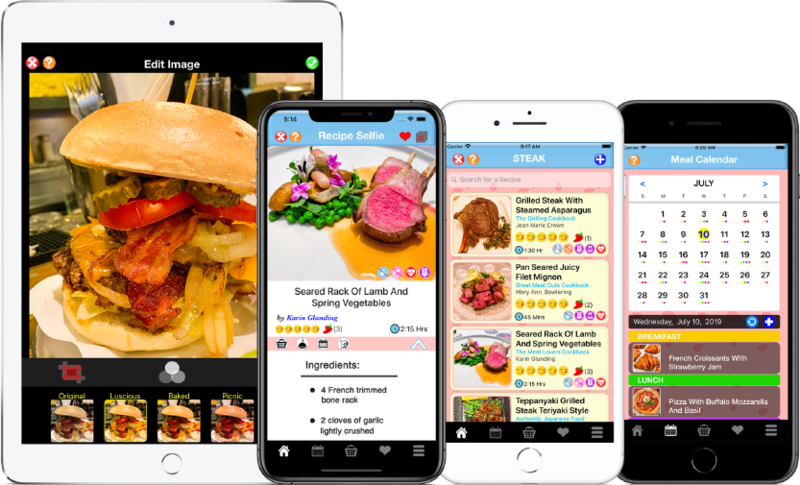 Never lose your recipes again when deleting the app or losing your mobile device. Keep them completely safe in your iCloud account. Syncing to iCloud is optional. Available on the Pro version. Copyright 2019 © Animatious Labs, LLC. All rights reserved.